Wondering what bodyboard is best for you to buy? Whether you’re a beginner or an experienced rider, our bodyboard buyer’s guide will help you make an informed descision when purchasing your next bodyboard. Bodyboarding is a lot easy and a lot more fun with the correct size board! Boards that are too long will push water and will be much harder to control, whereas boards that are too small will lack flotation making it much harder to catch waves.Use the chart below as guide to selecting the correct size bodyboard, but please feel free to contact us if you need any advice. The two most commonly seen bodyboard shapes are crescent tail and bat tail. This is the classic bodyboard tail shape and by far the most commonly seen. Crescent tail boards give plenty of grip on a wave, making them user friendly and easy to ride for all ability levels. The bat tail is generally favoured by riders looking for a faster, looser board. The extra buoyancy at the back of the board makes it faster and easier to release the tail of the board for manouvres, but gives much less grip than a cresent tail. Bodyboard rails are generally described as being 60/40 or 50/50, this is the angle between the deck and the rail and the slick and the rail. Generally 60/40 offer better control, whereas 50/50 rails are faster. All body boards are not created equally! The cheap bodyboards that you’ll see at beach shops the world over are made of a basic glued foam construction. This is an incredibally cheap way to make a board but performance and durability are severely compromised. All the boards available from Surfing Hardware are are of a heat-laminated construction. This is the heart of your bodyboard! Our mid range bodyboards generally have an EPS(expanded polystyrene) core, which gives good performance and durability at a reasonable price.All our top end boards use a PE (polyethelene) core, which greatly improves the flex and memory of the board, giving greater projection for the rider, especially in the colder water temperatures found in the UK. Stringers are inserted along the core of these bodyboards to further increase the strength and help the board to spring back to its original shape. The other commonly avaliable core material is PP (polyproplyne) this is stiffer than PE and so is more suited to use in warmer tropical waters. PE is regarded as the best deck material as it is less likely to impair the boards ability to flex. It has a softer, slightly rough feel to it, unlike its more economical alternative, the crosslink deck skin which has a stiffer, smooth feel. This is the hard bottom of your bodyboard; it gives the board speed and projection as well as helping the board to bend and spring back to its original shape. Slicks are generally made from HDPE(high density polyethelene). In some boards a layer of mesh is laminated under the slick for a bit more extra strength. This mesh also helps to enhance the recoil of the board. This is essential safety equipment for all bodyboarders and saves swimming back to the beach after wipe-outs! When surfing your board is your lifejacket, so never bodyboard without one. Most leashes fit around your wrist with a velcro strap and attach to a plug in the board via a urethane cord, although some leashes attach to your bicep. Although they are a little more expensive they make paddling with your arms considerably easier. Fins are an essential piece of equipment for all bodyboarders. 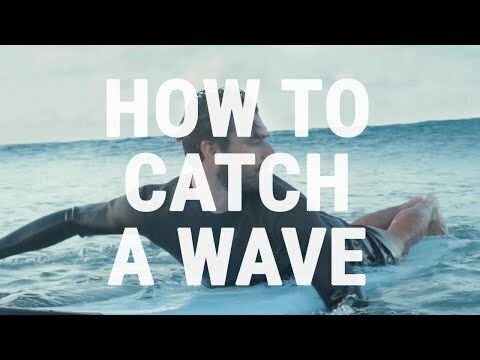 Not only do fins help you paddle and catch waves, but the are used to perform maneuvers. Bodyboarding fins are different to diving fins in that they are much stiffer, lighter and smaller, making them much better for the rapid acceleration needed to take off on a wave. TIP: When using fins keep your legs fairly deep in the water to avoid splashing on the surface too much; your fins are way more effective if they’re actually in the water! Fin savers or tethers simply attach the fin to your ankle with an adjustable strap and stop your fins from washing away during wipe-outs. Without it, your board will be slippery and trying to hang onto your board much harder. Bodyboarding wax is applied to the deck of your bodyboard (where you would place your stomach) and to the bottom + rails of the bodyboard (where you place your hands). Wax is available in varying hardnesses for use in different water temperatures, for cold water a soft wax is used, whereas in warm, or even tropical water temperatures a harder wax is used. Wax Combs are used for combing though your wax (once it’s on your bodyboard) to improve traction and thus giving you more grip. They are also used for removing old wax as well.Bodyboard bags are a great way to protect your boards and makes carrying everything down to the beach easier. Bodyboard bags are generally like a big rusk sack with carrying straps, a main compartment for your boards and an external pocket for fins, wax, suncream etc.